Back in Bangkok after a year, it was good that we are staying in the Siam Square area where I have become familiar with in the last decade when I seemed to be in Bangkok at least twice a year for official and personal trips. As we took the expressway en route to the city, I took a few shots from the perspective of a passenger of a van traveling along the elevated expressway. Our hosts arranged transport between the airport and our hotel. This was in the form of a van, with which we traveled to the city via the expressway. The elevated expressway connecting the airport to the city center is impressive for its capacity. The photo above shows a section with at least 4 lanes and shoulder space. Personally, I could have taken the express rail transit that connects with the BTS Skytrain. The elevated airport railway line is seen along the right side of the expressway in the photo. 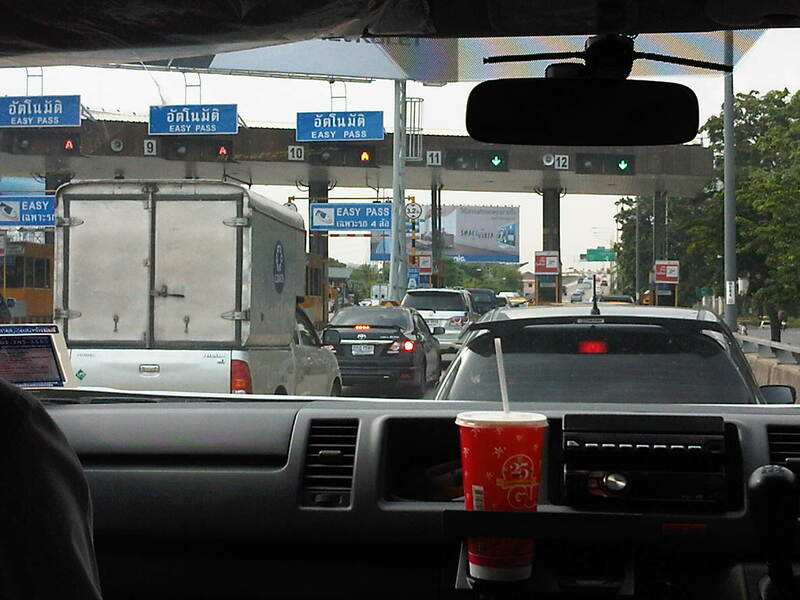 Queuing at the toll plaza. This time around, I’d like to be able to some photos of street scenes in the city. Of course, that includes pictures of paratransit modes like the tuktuk and their motorcycle taxis. 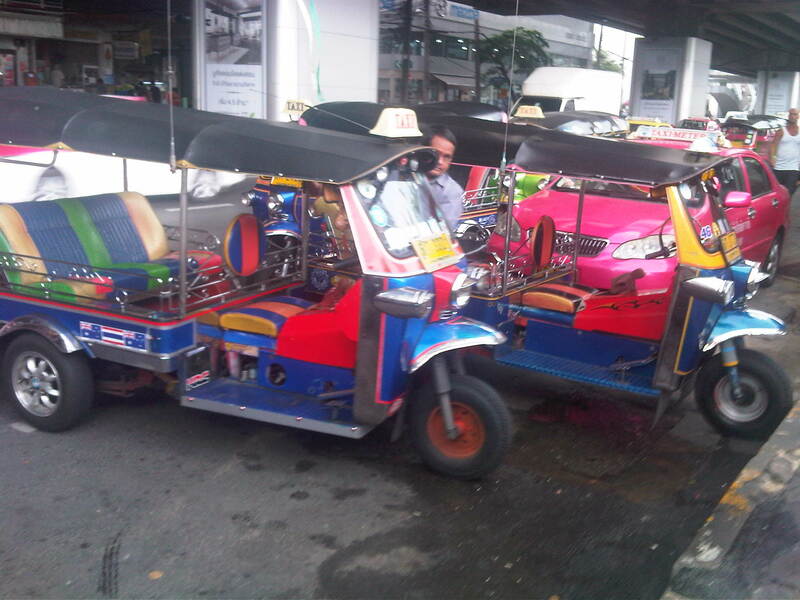 Here’s a couple of sample photos of tuktuks I took near our hotel. Tuktuk running along a city street. 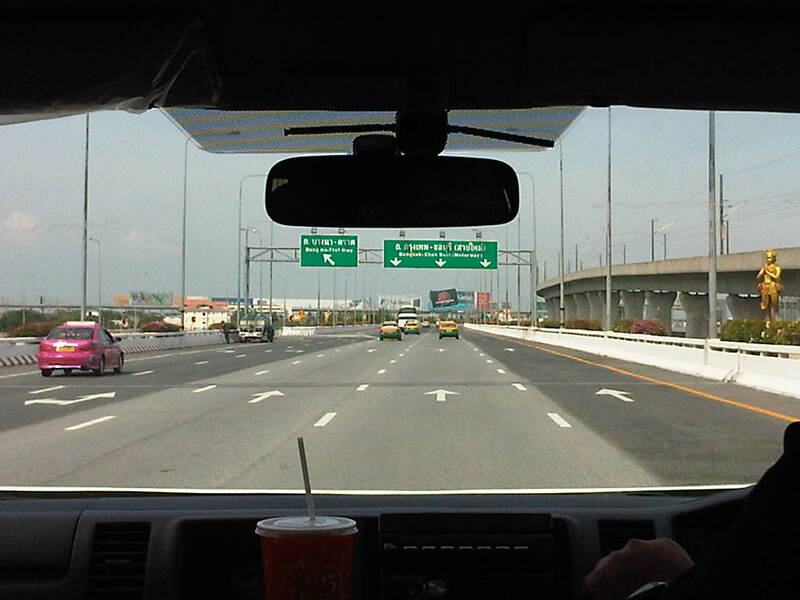 More on Bangkok transport and traffic in the next posts! By d0ctrine in Paratransit, Public Transport on November 21, 2013 .